Items, except custom and made to order, are in stock and ready to ship. They will be shipped as soon as possible--often by the next day. You may always contact me to ask about specific ship dates. If you have chosen to pay via Paypal e-check rather than credit card, your items will not ship until your payment clears the bank in 3-5 business days. Small items will be sent in a secure padded mailer and all others securely wrapped and boxed. Items ship from Prattville, AL, USA. Verify that the mailing address is current and correct before finalizing your order. The buyer bears all responsibility for providing the correct address. If your order is a gift order to be sent to a secondary address, please use that address as the ship to address and let me know it is a gift. 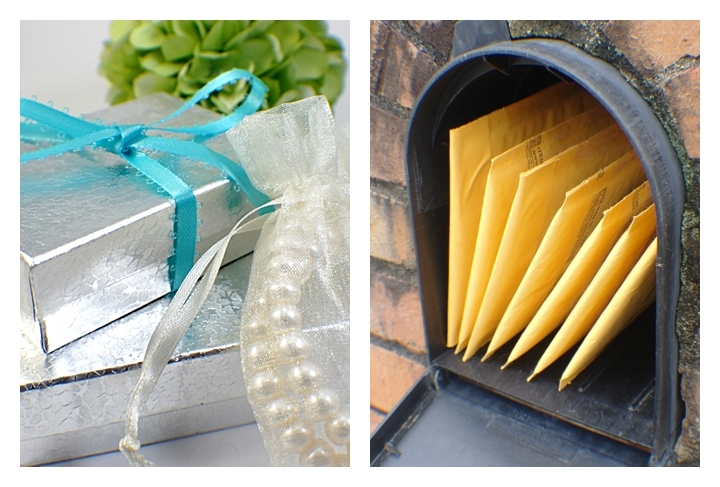 You may choose gift wrapping for $1.00 at checkout and you may leave a gift message with any order. Place separate orders for items going to different addresses. I do not ship to temporary addresses such as motels or general delivery. I can guarantee how long it will take me to get a package in the mail, but I cannot guarantee how long the postal service will take to deliver it after that. I recommend ordering early for any package that must arrive by a certain date. Domestic orders have the option to select Priority shipping at checkout. If you are having your package shipped to a place of business instead of your residential address, I will not replace your shipment if it is delivered to another person or department at that place of business. If your order is rejected by the mail room, you will have to provide a better address and pay the shipping again to have it re-sent. LOST PACKAGES: Please let me know if your package does not arrive after a reasonable time based on your location and chosen shipping method. I will file a missing mail inquiry with the post office and they will have 7 business days to trace it. INTERNATIONAL SHIPMENTS: buyers are responsible for all custom fees, duties and taxes associated with their home country including VAT. ALL CUSTOMS FORMS WILL BE MARKED AS MERCHANDISE. There are no exceptions. Jewelry may be taxed differently than other items. It is your responsibility to know your own country's policies and rates. If your package is returned to me because of your failure to collect the package and pay any fees, I will refund the item price of regular merchandise only. You will forfeit your shipping costs. I have no way to assess what your country may charge as they have the right to add additional package inspection, handling or other fees. International orders must go through Customs and can take weeks to arrive (generally 15-45 days). I do not guarantee delivery dates. I reserve the right to cancel very large International shipments unless the buyer upgrades to Priority Shipping so that tracking and insurance can be added. I have no way of knowing how long your country will take to process the package through customs and deliver it. Sales of clearance items are final. Refunds for custom orders will be reviewed on a case by case basis. If you are not satisfied with your order of regular merchandise for any reason, return within 30 days from date of purchase for a full refund of the price of the item. I do not do exchanges, but you may re-order. Items must be returned in original, new condition. Shipping and handling charges are not refundable except in the event that I sent you a defective or incorrect item. It is best to insure your return as I cannot be responsible for lost or misdirected items. Obtain return permission by phone or e-mail before sending so I know to expect your return. Use conscientious packing procedure. DO NOT return items in a letter envelope as they get torn up in the sorting machines. Enclose the packing slip or your contact information so the refund is properly credited to you. My guarantee for WHOLESALE customers can be found under my wholesale information pages. There are no refunds on pearl or bead RE-STRINGING or REPAIR SERVICES. If you are unhappy for any reason, you may return the item to me to be re-strung one time within two weeks of receipt of the item. Obtain return permission by phone or e-mail before sending so I know to expect your return. Please, do not hesitate to contact me if you have a question. Your satisfaction is very important to me.